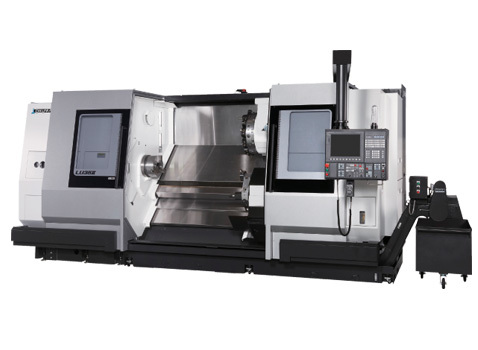 The LU35 II CNC turning center is the latest evolution of Okuma's large 4-axis turning centers. In comparison to 2-axis machines, two turrets dramatically improves process flexibility and cycle time. This machine has 22 tool stations, two independent saddles, four power ranges, large hardened box guide ways, a live quill tailstock and the Okuma THINC®-OSP CNC control system for easy use. The M (milling) function can be used to incorporate mill/drill functions in the upper turret, using secondary machining in one workholding to reach maximum precision and efficiency.